Aziz assists clients in a variety of corporate matters, including sale transactions and debt restructuring, with a focus on understanding clients’ unique business needs to provide practical, tailored and efficient legal services. 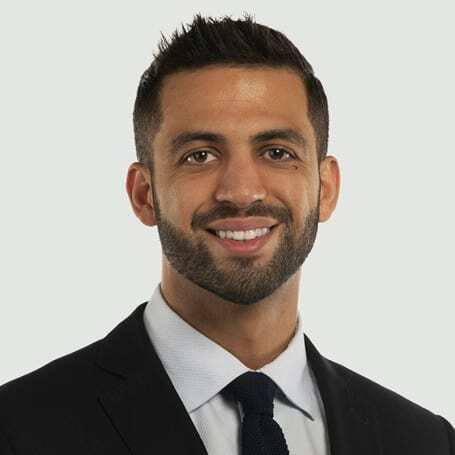 Prior to attending law school, Aziz graduated from the Paul J. Hill School of Business at the University of Regina, majoring in finance. Aziz provides practical and efficient legal services to a variety of clients – from newly emerging businesses to fully established companies. He has a general corporate practice focusing on commercial transactions, and has assisted clients with asset sale and purchase transactions, debt restructuring, corporate reorganization and structuring global real estate investment vehicles, among other things. Aziz brings his passion for business into the legal realm.